Alibi Gallery and McCaig-Welles are pleased to present “Walls & Streets”, a mixed media group exhibition opening on Friday, October 12th from 19.00-23.00 at Alibi Gallery in Athens, Greece. world. 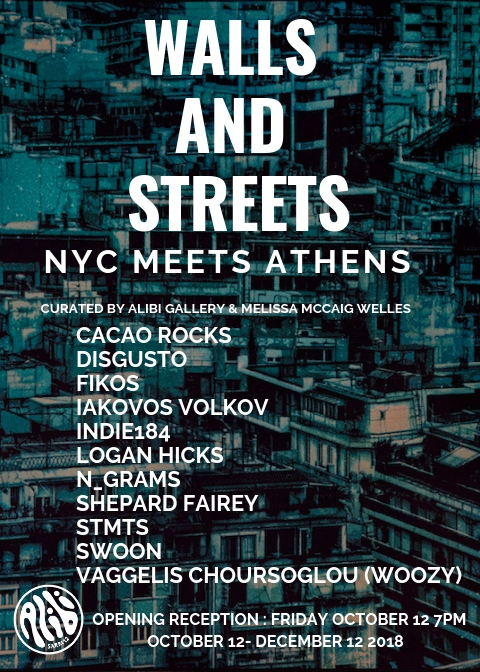 Athens, often characterized as the “European capital of Street Art” became the ideal host for “Walls & Streets”, an international collaboration between Athens’ own Alibi Gallery and New York curator, Melissa McCaig-Welles. “Walls & Streets” focuses on a tightly curated selection of artists who are well known for their wall and street art practices in Athens, Greece, New York City and around the globe, alongside exciting work from the burgeoning street art scene of Athens. American artists Indie184, Logan Hicks, Shepard Fairey and Swoon are juxtaposed with Athens greats; artists include Cacao Rocks, Disgusto, Fikos, Iakovos Volkov, N_Grams, STMTS, and Vaggelis Choursoglou (Woozy). 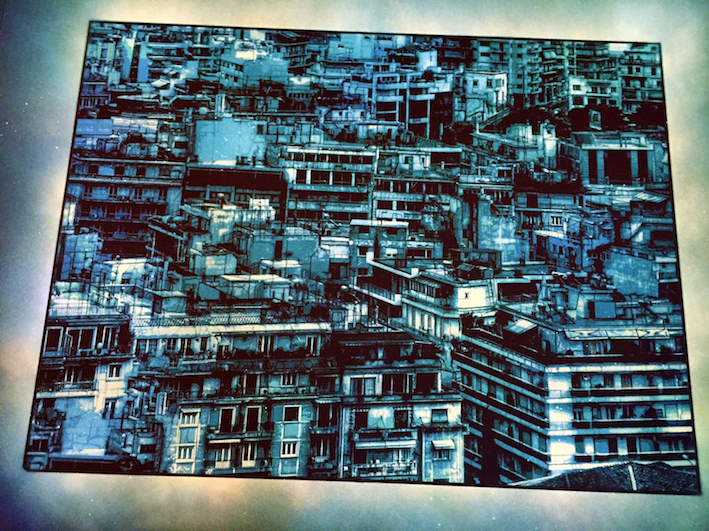 “Walls & Streets” integrates the works of renowned artists from New York City and Athens, creating a dialogue between these two distinct and diverse cultures touching on an array of unique styles, techniques, studies and philosophies. The exhibition explores street art as a universal language that exists without borders, despite the different characteristics and the uniqueness of each culture.” While conveying messages of dreams, fears, hopes and wishes, street art paves the way for genuine public diplomacy and expression, as it becomes a collective influencer and a facet for change around the world. Alibi Gallery, situated in the heart of Athens, is well known for showcasing established contemporary urban artists with a fundamental relationship with street art. Since opening their doors they have been exhibiting recognized local artists and showcasing new talent entering the public sphere of street art. Melissa McCaig- Welles is an independent curator and founder of McCaig-Welles Gallery. She focuses on mid-career, cutting edge artists that have emerged from the urban aesthetics that figured prominently in cities around the U.S. leading up to the millennium. She is currently focusing on international street art in exhibitions she curates around the world.